Take Personalisation To New Level With n-gage ! n-gage is a new lifestyle chat app that aims to change the way people communicate.It allows users to make one-to-one or group video calls and send rich personalized messages across other social media and messaging apps. It is an app which has something for everyone. N-gage eliminates the need for multiple applications on a single device by providing its users with features that allow to always stay in touch with friends, maintain privacy and bring their true emotions out in their messaging. N-gage has come up new features such as ‘Extract’ which helps the users to pull back an entire conservation from the receiver’s end, ‘Lifie’ which adds animated decorations to user’s photos and ‘Schedule’, a feature which allows the users to set their messages to be sent out at a particular date and time. For providing users with a comprehensive Lifestyle chat app, n-gage also contains ‘Know’ which enables the users to improve their knowledge on lifestyle and health. With apps related to personalization on much demand, with n-gage, the users are not only able to personalise stickers but at the same time bring photographs to life or handwrite their messages. Whilst the prime aim is to provide a platform for communications, n-gage has incorporated additional utilities for lifestyle into this app, thereby eradicating the need to have so many apps. 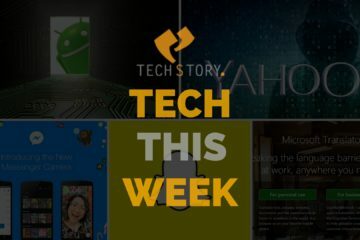 Privacy is growing concern for the technology industry. With WhatsApp announcing their end to end encryption feature, n-gage has taken a different approach. N-gage apart from providing end to end encryption feature, provides its users with features that help them gain control over the messages that they have sent. They can delete the sent message from the receivers app. Thus it provides the ability to maintain the privacy of their messages at the device level. N-gage was founded by Mr. Ajit Patel. He completed his degree in Pharmacy in 1982. Since graduating, Mr. Patel has been involved in varied businesses, ranging from pharmaceutical to health, well-being, publishing, photography, security and printing businesses. 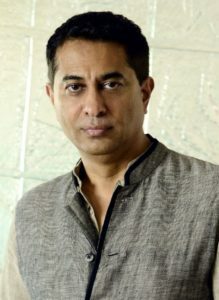 Ajit’s clear entrepreneurial milestones of success are his first pharmacy business in London, co-founding and listing Goldshield Group onto the London Stock Exchange, and his hotel business in Goa. During Ajit’s time at Goldshield, in 1999, he pioneered captive call centres in Mumbai, India with GTL. Throughout his journey, he has won several accolades, including being honored with the Omnicomm British Young Entrepreneur Award in 2000. Mr. Patel is currently involved in the Wellness, Media, Technology and Hospitality industries. N-gage was conceptualised in 2013 to provide a comprehensive lifestyle messaging app, with a focus on privacy and playfulness. The most critical challenge they had faced is marketing n-gage to the rest of the world. With so many numbers of features contained in this app, trying to find the right name for each was a tough task. However, it found simple words such as ‘extract’ and ‘schedule’ which enabled them, to sum up, n-gage neatly. Apart from marketing, they are constantly looking for ways to refresh the look of the app to attract wider audiences and make it as user-friendly as possible. Here is a look at the company’s journey ! n-gage is constantly working hard to introduce new features on their app. In the coming months, n-gage is aiming to release their unique feature where users will be able to find friends according to their lifestyle interests. They will also be able to follow brands and or interact with health professionals depending on the topic of their interest. N-gage will also be providing users with their own cloud facility where they will be able to instantly scan and file important documents. All documents that are filed and stored will remain encrypted and only accessible via the app for the user’s privacy. The best part is that n-gage has found a way for its users to remain in contact with their friends and family regardless of whether they have n-gage on their devices. 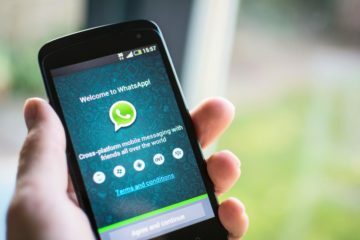 The messaging features and video calling feature allow users to communicate with their friends on other social messaging platforms such as WhatsApp or Hike. These features will be launched soon. N-gage with its current and upcoming incredible features is all set to revolutionise the communication and lifestyle technology industry. Previous ArticleTwitter Turned Ten This Year And Is Still Springing Surprises ! 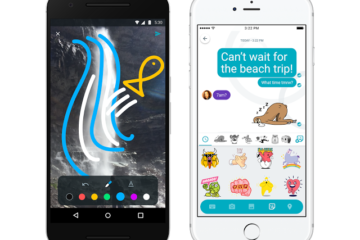 Next ArticleGoogle Says Hello To Allo For Users To Hangout ! 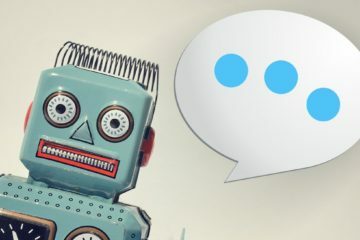 How Chatbots Are Transforming Brand Marketing ! 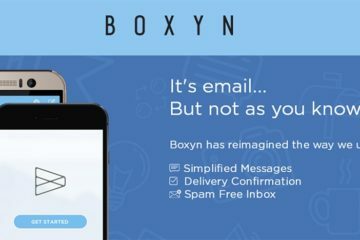 Boxyn – True IM To Email Capability ! 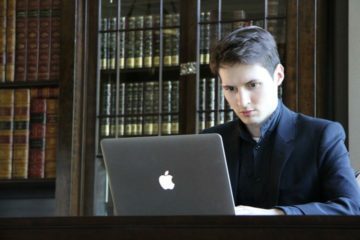 Pavel Durov – Fearless and Flamboyant !